Dental implants are an innovative alternative to tooth replacement. These synthetic structures have replaced dentures as the go-to for repairing a missing tooth or teeth. The wonderful aspect of coming to Beaufils Dental for dental implants is that we don’t force you to remove your healthy teeth in order to fit you with an arc, we only fix the ones you need – unlike other facilities. We utilize the latest technology which help us eliminate the possibility of surgery and decrease the duration of recovery time. Dr. Beaufils has over 26 years of professional dental experience. 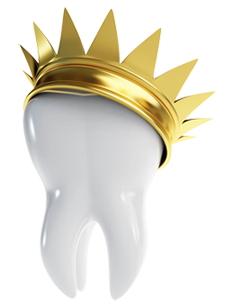 Up to $500 OFF your dental implant procedure to help you with cost. We provide a FREE Initial Implant Consultation and 3D iCAT Evaluation! Dental implants essentially replace the area of the tooth that is occupied by the root. The implant is “anchored” to the jawbone or metal framework on the bone to create an artificial tooth or permanent bridge. In some cases, these implants can even be used to attach dentures. A dental implant requires surgery, and anesthesia will be administered so the location of the implant can be prepared and the implant inserted. The area will be monitored post-procedure to ensure the build-up of bone tissue so the implant “anchors” successfully. If necessary, antibiotics will be administered post-surgery to stave off infection. For your convenience we have also created this simple Post-Implant Surgery Recommended Diet one-page guide that you can print and put up in your kitchen as a reminder of what you can eat and what you should stay away from. The answer is no – not everyone is a candidate for tooth implants. Factors such as strong oral hygiene, proper bone density and a strong immune system will determine if a dental implant will successfully hold. Beaufils Dental can help you determine if dental implants are a safe and beneficial option for you. Dental implants can be a long lasting, convenient method of tooth replacement. Are you considering dental implant surgery in the Cooper City area? Beaufils Dental is here to address any concerns you may have when considering this procedure. We are a trusted team helping Cooper city dental implant patients achieve the smile they both desire and deserve. Call us today at 954-252-1390 and find out if dental implants are a feasible option for you. *After hours services are provided for an extra fee.